OxyElite Pro Results / Reviews? 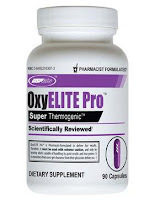 Over the past couple of months we've gotten several requests for information about a new thermogenic fat-burner called OxyElite Pro which is made by USP Labs. People want to know if it provides real fat loss results or if it's just another rip-off/scam product. There are several reviews online and, for the most part (about 85%), they are favorable. There are however some very negative reviews out there, mostly related to unwanted side effects of taking a powerful stimulant. OxyElite Pro definitely appears to be a pretty unique product with some extremely powerful energy-boosting effects. But the question is: does OxyElite Pro work for fast, safe fat loss? The first thing that caught my eye regarding this diet supplement is its list of strange ingredients. It's rare to see a diet pill that's made with so many uncommon substances. 90% of legal fat loss supplements basically contain the same mix of caffeine, vitamins, amino acids, and herbal constituents. That's not the case here. OxyElite Pro contains things with weird-sounding names like: Bauhinia Purpea, Bacopa Monniera, Cirsium Oligoohylium, Rauwolscine, and 1,3-Dimethylamine. 1,3-Dimethylamine, or DMAA, I've heard of and is found in another popular USP Labs product called Jack3d. The other things appear to be plant extracts and herbal stimulants that may or me not provide real benefits. OxyElite Pro is marketed as a "super thermogenic" that's been created by pharmacists to provide extremely fast fat loss results. The unique ingredient mix is designed to provide a "jolting" energy boost while ramping up the metabolism and eliminating appetite and food cravings. So you workout harder, burn more calories/fat, and eat less... definitely a formula for rapid weight loss. As with all stimulant-based products, it's a good idea to drink lots of water when you're taking OxyElite Pro. You also should try to avoid it later in the day so it doesn't cause sleep problems. Start slow and slowly ramp up your intake as your body adjusts to the product's effects. For best results, you should probably avoid other caffeine products and stimulants while using OxyElite Pro. Personally, I only like to take strong stimulants before my "heavy lifting" weight/resistance workouts. But I rarely take pills and mostly stick to strong energy drinks and "5 Hour Energy"-type supplements. Please leave your own OxyElite Pro reviews, opinions, and feedback below. Thanks! 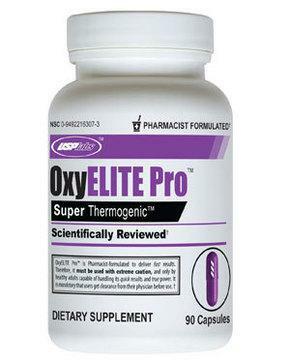 Click here for the best prices on OxyElite Pro as well as more good reviews! Using it now. Have tried a ton of stuff. This is th best product I have ever tried. First few days are rough because it is a strong stimulant, but it's wonderful after that. I have never been more productive in life and in the gym. I havn't weighd myself but with what this product allows me to accomplish I would not be suprised if I dropped 10 pounds this first week. We will see though. The appetite suppresant is amazing nd I have doubled my work out time and It makes you sweat like crazy. I'm 6'3", 18 years old, and I weigh 190 LBs. with about 12-14% body fat, I've been trying to drop about 10 pounds or so to get down to ~9-10% body fat by summer. I haven't been able to lose any weight after trying for a couple months, would taking OxyElite be too drastic a supplement for a mere 10 LB loss? I am an 18 yr old girl...5"6..was about 196 a last July, when I started taking OxyElite Pro. I am now about 148. There are certainly pros and cons I have experienced with this pill. The cons are that after a while taking it, I plateau. To counter this, I stop taking it for a little while. When I first stop taking it I have major withdrawals...such as headaches and complete lack of energy. Also while on it, I can get a bit jittery. Now the pros---when I haven't taken OxyElite Pro long enough for it to loose effect (less than 2 months without break), it works. And I mean really works. I have energy, I am generally in a better mood, my appetite is not like a raging beast (lol), and the pounds fall off. Obviously I love it or I wouldnt have been taking it for this long! Just 25 more lbs to go! hi i just wanted to leave a quick review to let people know how amazing this product is. i bought my first bottle of Oxy Elite Pro in the beginning of January and it's helped me lose 32 pounds of fat while also increasing my lean muscle in just over 3 months. THIS STUFF JUST WORKS! the best part is that it's not too expensive and you can buy it online for cheap. give it a try if you need to lose weight fast!